Read this article in VT Digger about our Aerial Cover Crop project. 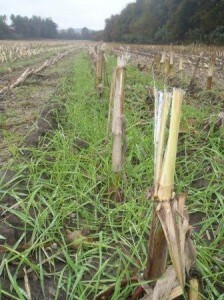 UVM tests aerial planting of cover crops. 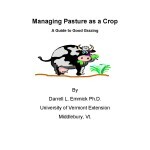 Managing Pasture as a Crop – A Guide to Good Grazing, written by Darrell Emmick while on staff at UVM Extension in Middlebury is now available. The 80 page book is a great read for livestock farmers who want to learn more about getting the best from their land. 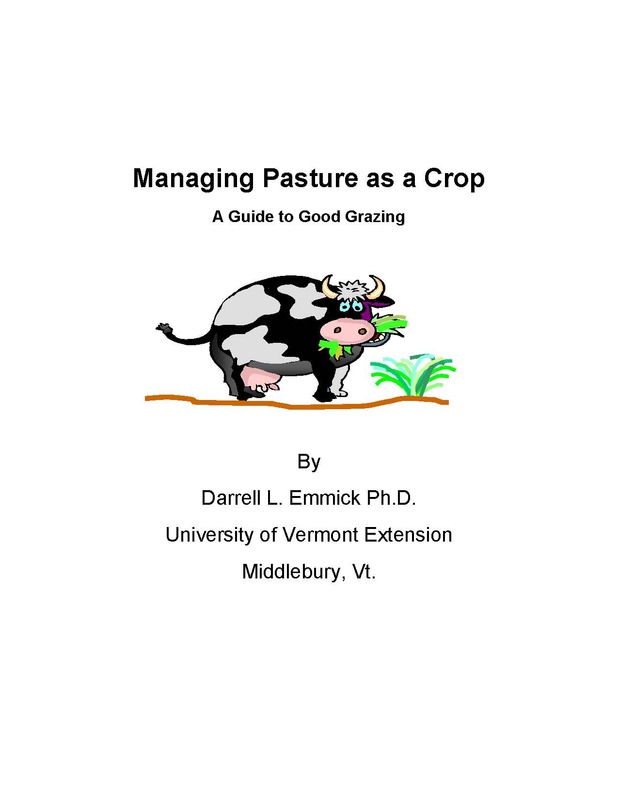 A Guide to Good Grazing, by Darrell L. Emmick, Ph.D. 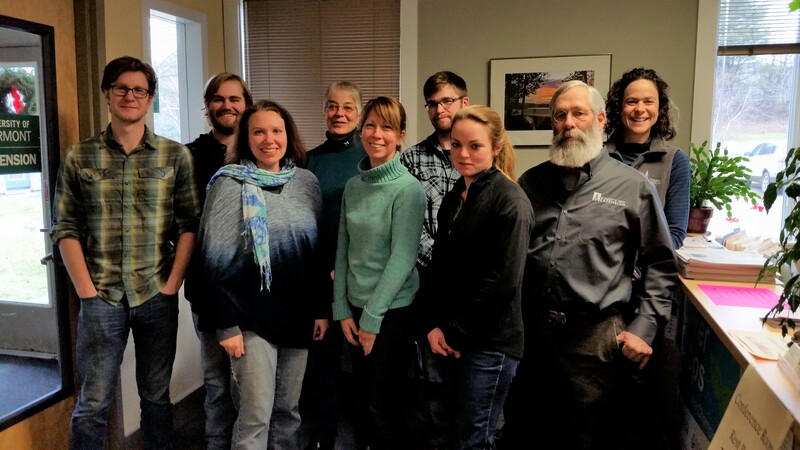 The Northeast Organic Dairy Producers Alliance (NODPA) annual field days recently took place in Brattleboro and while this event is a chance for organic dairy producers across the region to get together, many of the topics presented are relevant for any grazing dairy producer, organic or not. One of the great workshops was ‘Top Grazing Mistakes’ presented by three grazing experts – Sarah Flack, organic consultant; Dr. Cindy Daly, California State University; and Kathy Soder, USDA Agricultural Research Station in Pennsylvania. This is a brief excerpt. A complete article from this workshop can be found by clicking HERE. What are some common mistakes made by dairy grazers? At this time of the year it is important that pasture plants go into winter with enough energy reserve for next spring. Remember that the plant height you see above the ground is an indicator of the root length below the ground. Sending plants into dormancy with 1 inch of overall height does not give them much energy storage for survival, as these reserves are generally stored in the first 2-4 inches of the plant base. 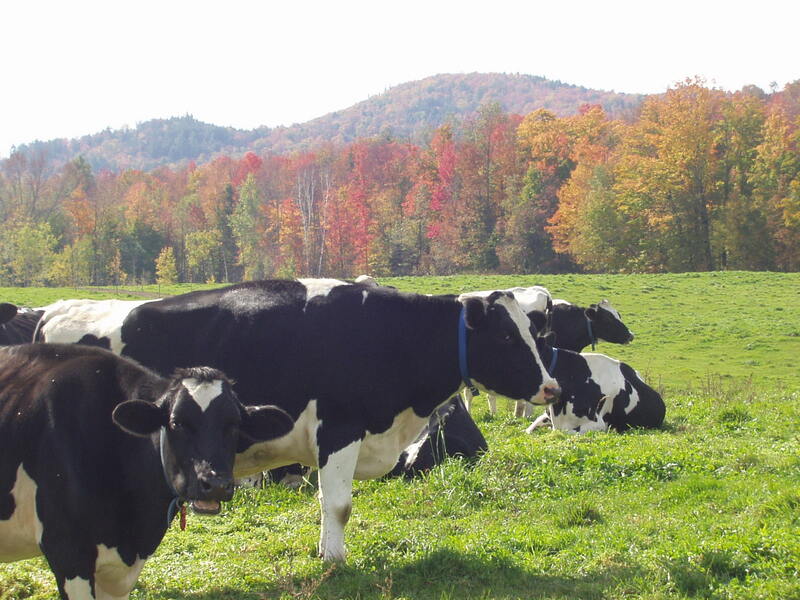 Overtime this can result in weakened plants that die out and decrease the overall density and quality of the pasture. Keeping a higher residual height will allow plants to store more energy and get a robust start in the spring. So what are some of the practices at this time of the year that can result in overgrazing damage? Removing the interior fences and letting cows ‘clean up’ the pastures. Letting animals graze the same pasture for more than 3 days. Returning animals to a pasture before all the plants have regrown. At this time of year, that period is approximately 40 days. Not adding additional acreage into the grazing rotation when plant growth rates slow down. Using follower groups that graze close and do not leave enough plant residue. If you have found yourself doing any of the above, don’t despair! Now is the time to identify any issues and formulate a plan for next year to ensure that pastures remain healthy and productive all season long. Drilling Cover Crops into Vegetable Fields . 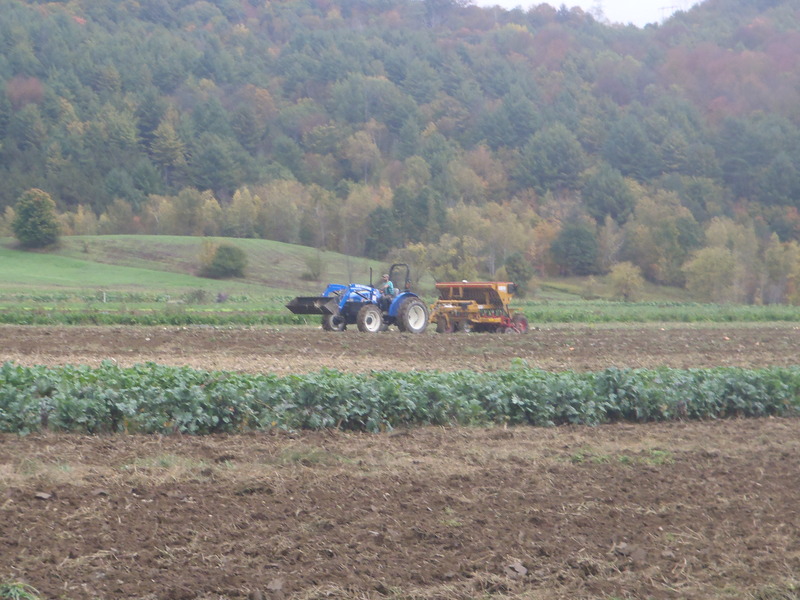 Check out this photo album on our facebook page of The Farm at VYCC using one of our No Till Drills to plant winter rye cover crops into their veggie fields.